Birmingham City Centre and surrounding areas has a lot to offer and we have, over the years, done most of the popular venues and picked up from most if not all the hotels!!!! We have seen a rise in civil weddings in Birmingham and the West Midlands in general, and we often take either the groom's party or family members to the venue if the bride is staying at the venue. We then wait until after the wedding ceremony where the bride and groom get a ride in the car, which many brides and grooms tell us this was the most relaxing part of the day, and the only time they had a moment to themselves to take it all in!!! Once back at the wedding venue a chance to get all the photos with the wedding car for your photo album, sometimes we stop off at a local park if scenery photos are required as not all venues have nice outdoor areas for photos being in a city!!! 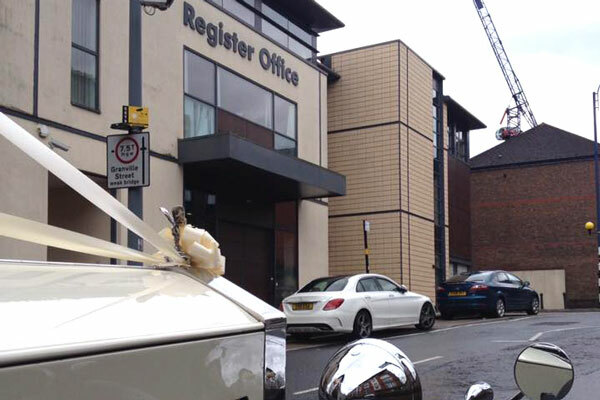 Birmingham Registry Office weddings are popular going onto hotels such as The Plough and Harrow Hotel (Hagley Road), which is ideal for 100 daytime wedding guests up to 150 on the evenings. We sometimes do the wedding fayres at the Plough and Harrow, or perhaps Hotel du Vin, Malmaison or the Hyatt Regency Hotel Birmingham to name a few, we have also picked up from these hotels on many occasions often going to wedding venues such as the Botanical Gardens Birmingham, again the Botanical Gardens has also been a good wedding venue for outdoor wedding photos, as the gardens are stunning!!! Highbury Hall wedding venue is very popular and we have done many wedding fayres and civil weddings at Highbury Hall over the years, again lovely gardens for photos. 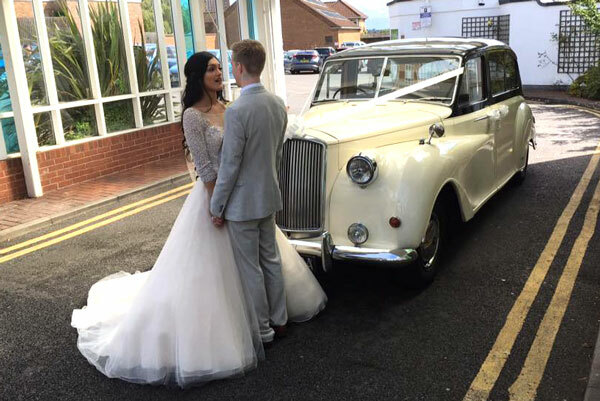 If you visit Celebration Wedding Cars Facebook site and look though the hundreds of pictures you will see our wedding cars at most of these places, this will help couples with decisions when looking for that perfect wedding venue in Birmingham. We have beautiful Princess limousines from the 60s that comfortably hold 7 passengers if larger wedding cars are required, useful if 2 trips are required. 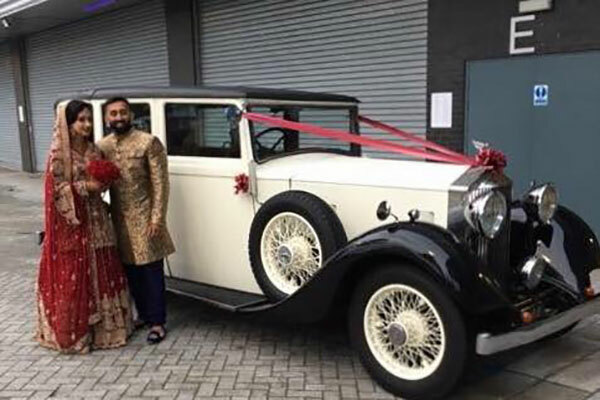 There are many Asian wedding venues in Birmingham and the demand for a classic or vintage Rolls Royce wedding car is on the rise, as our cars are timeless in your photos they will never look dated. We are experts in Asian weddings and have done many Asian weddings in Birmingham over the years. Our cars can be out all day until late at night and we can accommodate packages to suit your needs. All our cars are original cars not replicas, and look as they should, oozing style and class on your photos. 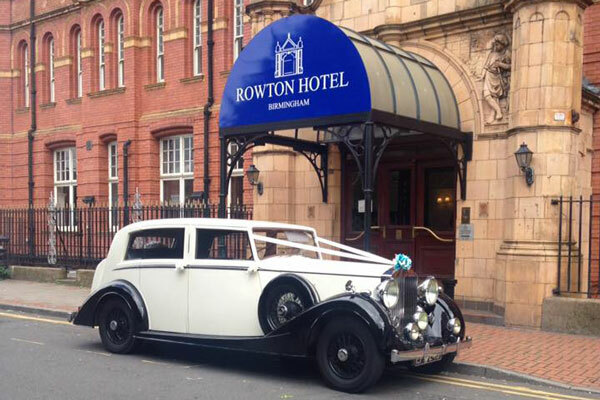 We have provided the transport for many Popular Asian wedding Venues in Birmingham. Often picking up from a home address or hotels such as the Rowton Hotel Birmingham, formally well known as the Paragon Hotel going to the nearby Crown Banqueting Suite Birmingham or Crystal Plaza Birmingham, Majestic Conference and Banqueting by Aston Villa Football Club or Al Miraj Wordsworth Rd Birmingham to name a few!! Or even Edgbaston Cricket ground weddings for something a bit different. 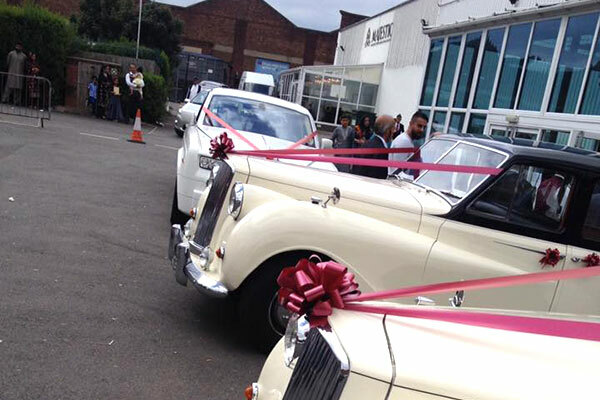 Again our 7 seat Princess Limousines from the 60s are popular for Asian weddings, often used with a vintage Rolls Royce, which holds between 4 to 6 passengers, you can visit our Facebook site to see some pictures of our vintage and classic wedding cars at these popular Asian wedding venues in Birmingham. 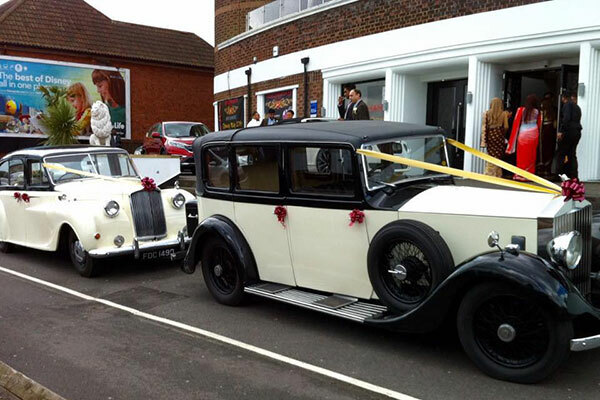 In the surrounding areas, such as Coleshill, you have the Motorcycle Museum wedding venue. 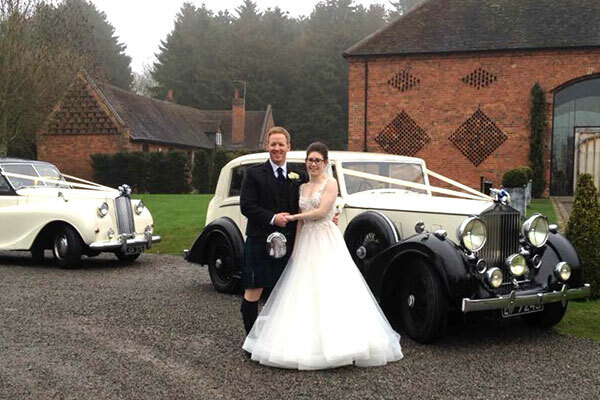 Also in Coleshill is Shustoke Barns wedding venue, which is very popular with civil weddings. Shustoke Barns is a lovely renovated barn in the middle of peaceful countryside, a wonderful civil wedding venue. 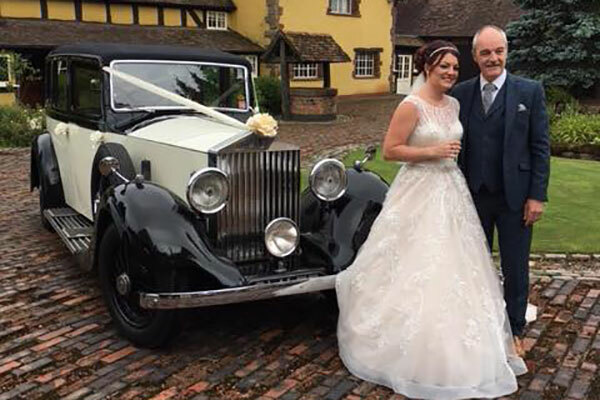 St Peter & St Paul's church in Coleshill is a popular church, along with The Catholic Church of the Sacred Heart and Saint Teresa, on the high street you will find the Coleshill Hotel wedding venue ideal for smaller weddings. 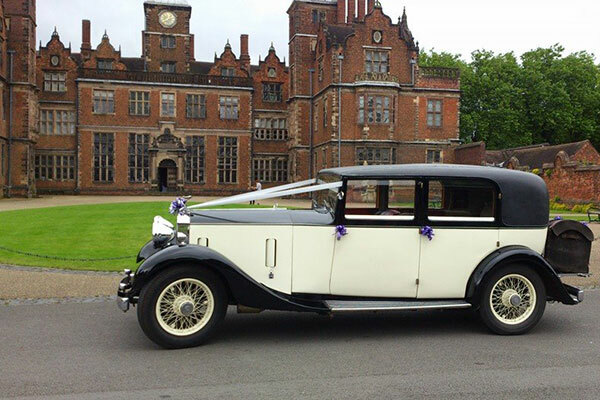 Our Vintage Rolls Royce Primrose at Aston Hall. 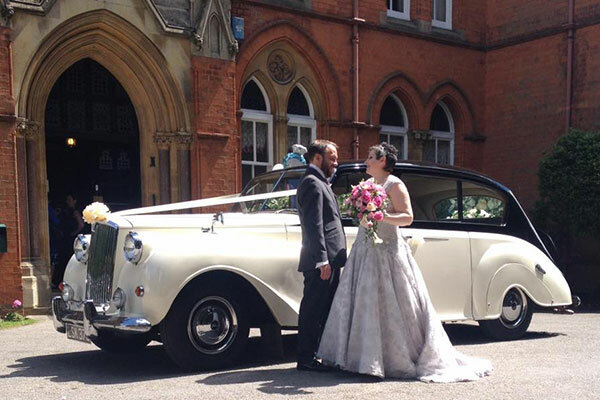 Our vintage Rolls Royce and Princess at Highbury Hall. Rolls Royce Wratch and Princess at Shustoke Barns. 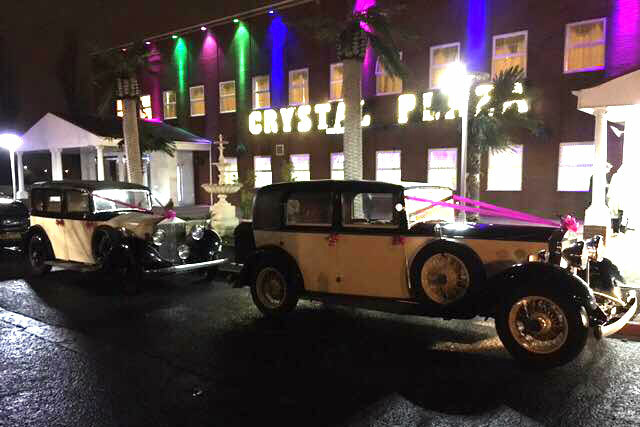 Crystal Plaze Banqueting Hall, Birmingham. 7 Seat Princess Limousine at The Botanical Gardens. Landaulette Rolls Royce at The Granary, Dovehouse Farm. Landaulette Rolls Royce at Edgbaston Cricket Ground. R7 Seat Princess Limousine at Majestic Banqueting Suite. Badshah Palace is an iconic Grade II Listed Building from the Art Deco era. Bank Restaurant is situated within the cosmopolitan surroundings of Brindleyplace. 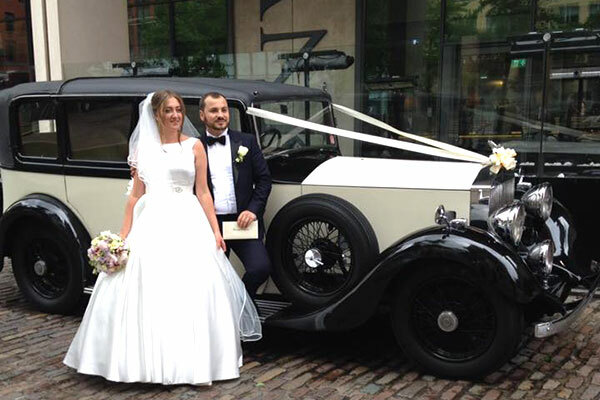 If you are having your wedding in any of the above locations or venues and are looking for vintage and classic wedding car hire in Birmingham please contact us for a wedding car hire quote. If your location or venue is not listed please try us as we still may able to help.